So…where to begin. This blog has been a part of me for the best part of 2 and a half years and within that time, so many things have happened. I’ve had some absolutely incredible experiences and opportunities, but on the flip side, I’ve had some quite awful one’s too that I wish I could forget. Life kind of does that to you, it likes to throw some curve balls from time to time and to be honest, I think life has gotten a little too skilled at throwing curve balls at me. When I look back at when I first created this blog, it really strikes me as to how much I was controlled and defined by my OCD. At this point, I was 14 and had been struggling with persistent OCD for roughly 7 years. I really knew nothing different. The constant conflict and negative voice had always been there and there was nothing about life that I wouldn’t doubt or fear for someone’s safety over. At 9 I was scared that I was giving cancer to my sister’s friends (who were roughly 4 at the time) just by being around them. At 11 I thought I was a drug dealer because I had gone to a year 6 drug and alcohol safety day and for some reason, I thought I had taken the display drugs home with me. I knew I hadn’t, but regardless my OCD would make me sick with fear and doubt because ‘what if’. ‘What if you did Ellen, what if you’re just in denial’. I thought the police were going to take me away and lock me up. I vividly remember one of the first sessions I had with my current psychologist where we did some visualisation. I had to create a scene in my head of how I felt, create a scenario that would represent my thinking. I chose to be sitting on the edge of the grand canyon alone, with my feet hanging down into the rocky crevasse below. If I looked at me, all I would see were miles of barren land with no civilisation in sight. To me, this is how I saw my life currently. Stuck in limbo. I could get up off the edge and make the journey into the unknown land, unsure of when I would see civilisation or I could just push myself off the canyon and be done. I was scared of either way. I was scared of the path to recovery and I was scared of death. It perfectly summed up the conflict in my mind. The conflict that has followed me over the years and that I truthfully still battle with to this day, but luckily with much less severity. When I look at myself now; 17, about to take my AS levels, soon to be applying to Uni, I get quite scared. I fear how time has passed so quickly, how I’m inevitably going to be discharged from therapy this year, how I’m going to have to make some pretty adult decisions that will ultimately shape the course of the next few years of my life. However, within this whirlwind of thoughts, I forget to acknowledge something. I forgot that my 12/13/14-year-old self wouldn’t have even imagined that I’d be able the fathom, let alone plan for the future. At that point in my life, my OCD was so strong that the prospect of even being able to think about Uni and the future was too much. I had to focus on the now. How I was going to keep everyone safe. How I was going to make it through another day of intense rituals. How I was going to keep myself sitting on the canyon. Though battling OCD and other coexisting disorders has been tough, hellishly tough at times (and inevitably it still can be to a lesser extent today) I have been able to chip away at my OCD. It’s been a gradual process and most of the time I’ve been unaware of the progress and it’s not until I take the time to reflect and look back that I realise how far I’ve come. To be 100% real, this journey for me didn’t start off with one day deciding that OCD wasn’t going to be the boss anymore. I wasn’t this determined recovery warrior who was ready for a fight. I was fed up. For the longest time, I was very hesitant and just entirely masked by the thoughts of OCD that the prospect of even challenging it in any way shape or form was gut wrenching. It truly just began with minor, minor things. Trying to knock even just a second off my mental counting ritual, or just writing how my day had gone so that we could establish a few patterns. I knew I wasn’t going to break down my rituals within a short space of time and to be honest, that was pretty disheartening. I just wanted a quick fix, even though I knew it wasn’t possible. I just made slow steps with OCD. Sometimes I would take a leap, sometimes I would fall back, but ultimately I would just keep doing small things that would just take a little jab at OCD and those small things built up. I would gain a little more confidence and I would, even just for a second, see things from a different perspective other than OCDs. What I’m trying to say is that I never thought I’d get to this point. I never thought I’d have any control over my OCD, be able to plan for Uni, take exams, feel like Ellen. I never thought I’d be able to walk into that unknown land of recovery and ultimately discover myself within it to the point where I feel like I’m entering a new chapter in my life. 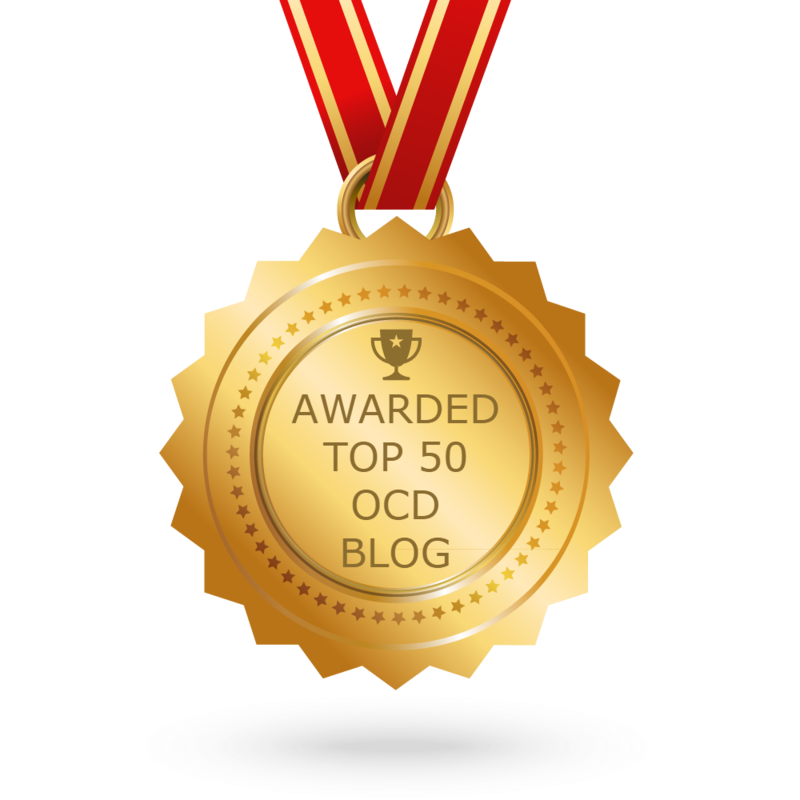 Not one where OCD is absent, but a chapter where I am the one in control, not OCD. I’m in charge of writing this chapter and I’m excited to share that with you on here. Each person’s journey will be different, but I really want to prove that you can come from a place where OCD controls your entire life to a place where you control the majority of your life. I say majority because my life isn’t perfect. I don’t expect it to be. To me, perfection is a detrimental goal. My OCD can still be a feisty fiend and can definitely throw curve balls at me, but I feel better equipped to deal with it. I’m more in control of how I handle these tricky thoughts and urges and I couldn’t be more grateful for that. There are quite a few big things happening in the next few months (stay tuned for more info) and I do still have quite a lot to tackle regarding my mental health, but that’s okay. I’ve had a bit of an intermittent period with writing. For a time I was struggling to connect with the words I wrote and I didn’t want to publish anything that didn’t feel real to me as that would go against what I set out for with this blog. However, I feel like I’ve found that spark again, so look out for some more frequent posts from me in the future. I hope that this has been helpful and I’m so grateful to those of you who have stuck around whilst I’ve been a bit of a rubbish blogger in the past few months. Next Post IOCDF Conference – Chicago July 2016 | I’m Presenting! Thank you for all you’ve shared Ellen. I think things will just keep getting better and better for you and I look forward to hearing about what your future holds. You are an inspiration to so many people! Your journey is much like mine Ellen. My OCD symptoms are different, but my progress has been similar: Slow and with intermittent setbacks. Sometimes so slow that I don’t see the progress until I look back. I love that you focus on the positive in your writing. If we stay positive and continue to work hard, I believe things will get better and better! Thank you for sharing your stories. You are indeed an inspiration! Best of luck to you as you move forward towards going to university! This is very inspiring. I can understand your struggle totally because I fight every day as i am a patient of major depressive disorder. It’s amazing how far you have come and you will go way ahead. All the best for the university. Hoping to see some more posts about you. 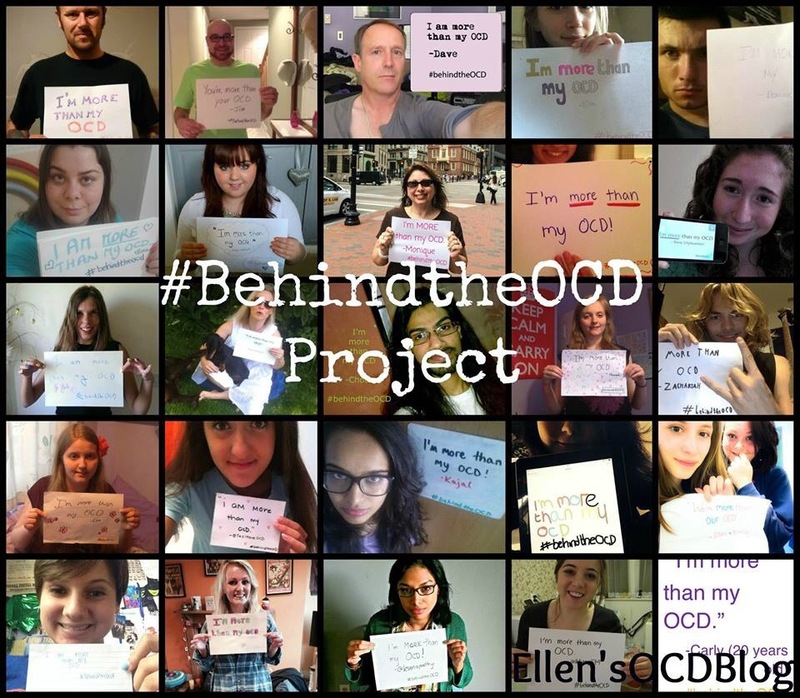 Thank you so much for sharing your journey with OCD. It is very helpful to me as I help my daughter through similar struggles and I will share this post with her! She was diagnosed at 6 years old (as she was entering kindergarten) even though it started a couple months before. She is now 13 and has made great strides, but it will be something she will live with for the rest of her life. It sounds like you both are a testimony for getting professional help, no matter what age. It has helped her have a great understanding of the disorder and I believe it has also molded her to be a very empathetic person (which the world needs more of). My hope is that others know they are not alone and are not afraid to talk it. I wish you all the best at university and we look forward to reading future posts from you! This has honestly made me tear up, I’m so happy that I could be of help and a positive influence to you and your daughter. I’m so happy that she has made great progress and I honestly wish her all the best for the future, of which I’m sure it’ll be a positive one! Thank you for sharing your story and your struggles through OCD and living through it and with it on a day to day basis. Also, your blog background is absolutely gorgeous, by the way! Thank you so, so much for your kind message! Please hold onto hope too.